Generating strong reasons to support their opinions. Using details and examples to support their reasons. This year when I introduced opinion writing, I decided to take more of a collaborative approach, in which ALL students were able to contribute ideas, and then draw on ideas from each other. 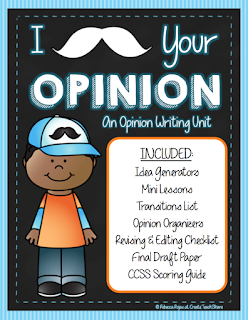 When we started our unit, we simply started with forming opinions. I gave students multiple topics to think about, and asked them to use post-its to write ANY opinion that they had on each topic. 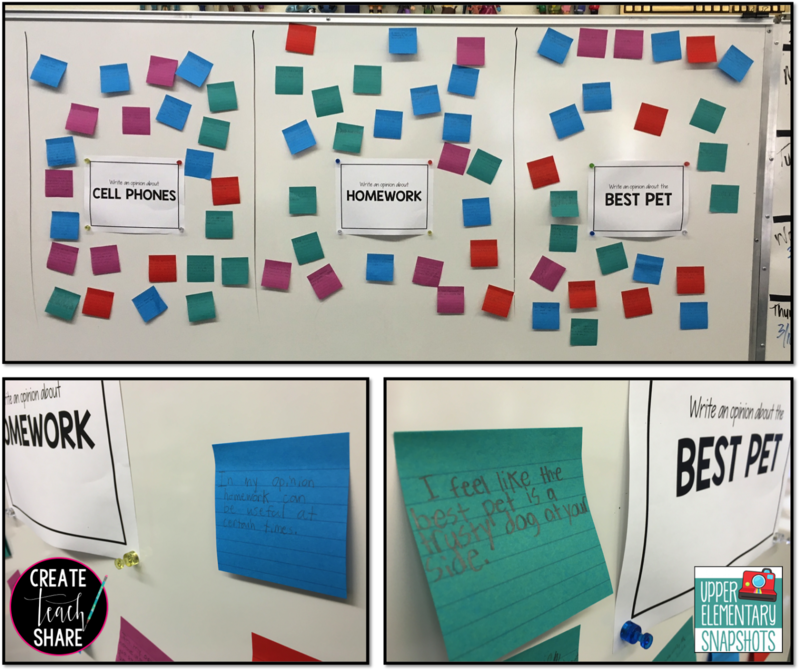 Students wrote and posted their opinions around the classroom, and at the same time they were able to read the opinions of their classmates. These opinions led to some GREAT discussions, and gave students a starting point for “stating their opinion” when it came time for them to sit down and write. 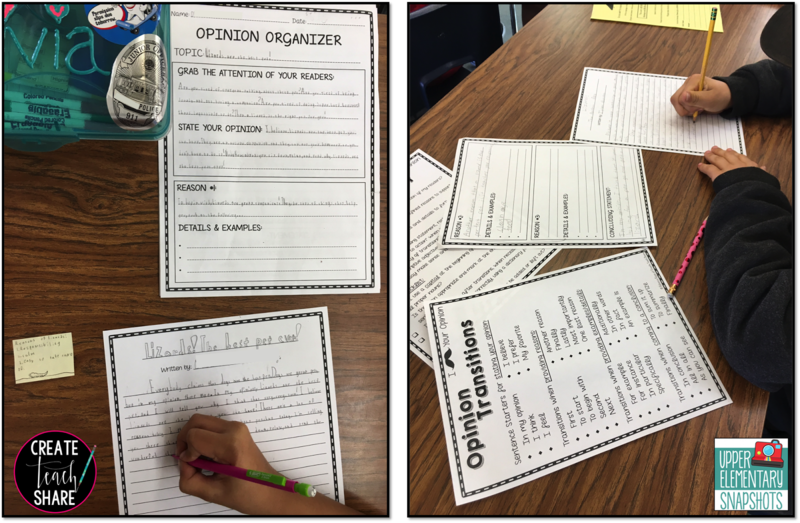 Each time I assigned a new topic, we would also use this collaborative approach to help students generate and share strong reasons to support their opinions. During this particular lesson, students had to write about the “Perfect Pet”. Once they formed an opinion, I had everyone use post-its to share reasons why different pets make the perfect pet! Again, this led to some great discussions, in which students had to “defend” their reasons. It also helped students to develop strong reasons that they would then be able to support with details and examples. Finally, before sitting down to write their own opinion essays, I had students work in groups to create outlines. This led to more discussion of ideas, and helped students to narrow down their reasons and examples. When students finally sat down to write their own pieces, they had a variety of ideas to draw from. I had such a great time reading each of their opinion pieces. I loved how my students worked together to generate and share ideas. 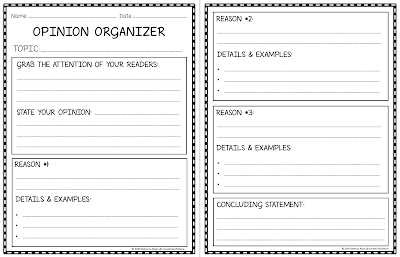 While, they worked collaboratively to generate those ideas, each assignment was unique, and reflected individual students’ writing styles. 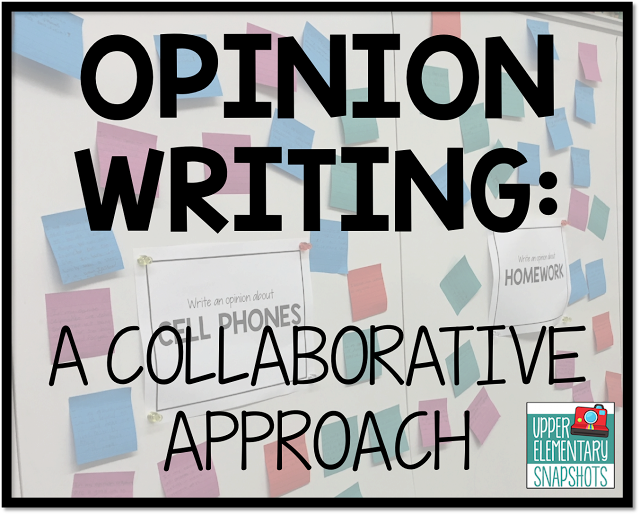 Now I can’t wait to try this collaborative approach with INFORMATIVE WRITING! !